With violinist Stéphane Grappelli, Reinhardt formed the Paris-based Quintette du Hot Club de France in 1934. The group was among the first to play jazz that featured the guitar as a lead instrument. Reinhardt recorded in France with many visiting American musicians, including Coleman Hawkins and Benny Carter, and briefly toured the United States with Duke Ellington's orchestra in 1946. He died suddenly of a stroke at the age of 43. Reinhardt's most popular compositions have become standards within gypsy jazz, including "Minor Swing", "Daphne", "Belleville", "Djangology", "Swing '42", and "Nuages". Jazz guitarist Frank Vignola claims that nearly every major popular-music guitarist in the world has been influenced by Reinhardt. Over the last few decades, annual Django festivals have been held throughout Europe and the U.S., and a biography has been written about his life. In February 2017, the Berlin International Film Festival held the world premiere of the French film, Django. Reinhardt was born on 23 January 1910 in Liberchies, Pont-à-Celles, Belgium, into a Belgian family of Manouche Romani descent. His father was Jean Eugene Weiss, but domiciled in Paris with his wife, he went by Jean-Baptiste Reinhardt, his wife's surname, to avoid French military conscription. His mother, Laurence Reinhardt, was a dancer. The birth certificate refers to "Jean Reinhart, son of Jean Baptiste Reinhart, artist, and Laurence Reinhart, housewife, domiciled in Paris". A number of authors have repeated the claim that Reinhardt's nickname, Django, is Romani for "I awake";:4–5 however, it may also simply have been a diminutive, or local Walloon version, of "Jean". Reinhardt spent most of his youth in Romani encampments close to Paris, where he started playing the violin, banjo and guitar. He became adept at stealing chickens, which was viewed as a noble skill by the Romani, because part of their means of survival on the road was to steal from the non-Romani world around them. :5:14 His father reportedly played music in a family band comprising himself and seven brothers; a surviving photograph shows this band including his father on piano. Reinhardt would acquire his first Selmer guitar in the mid-1930s. From 1934 until the outbreak of World War II in 1939, Reinhardt and Grappelli worked together as the principal soloists of their newly formed Hot Club, in Paris. It became the most accomplished and innovative European jazz group of the period. In Paris on 14 March 1933, Reinhardt recorded two takes each of "Parce-que je vous aime" and "Si, j'aime Suzy", vocal numbers with lots of guitar fills and guitar support. He used three guitarists along with an accordion lead, violin, and bass. In August 1934, he made other recordings with more than one guitar (Joseph Reinhardt, Roger Chaput, and Reinhardt), including the first recording by the Quintette. In both years the great majority of their recordings featured a wide variety of horns, often in multiples, piano, and other instruments, but the all-string instrumentation is the one most often adopted by emulators of the Hot Club sound. Decca Records in the United States released three records of Quintette songs with Reinhardt on guitar, and one other, credited to "Stephane Grappelli & His Hot 4 with Django Reinhardt", in 1935. Reinhardt also played and recorded with many American jazz musicians, such as Adelaide Hall, Coleman Hawkins, Benny Carter, and Rex Stewart (who later stayed in Paris). He participated in a jam session and radio performance with Louis Armstrong. Later in his career, Reinhardt played with Dizzy Gillespie in France. Also in the neighborhood was the artistic salon R-26, at which Reinhardt and Grappelli performed regularly as they developed their unique musical style. When World War II broke out, the original quintet was on tour in the United Kingdom. Reinhardt returned to Paris at once,:98–99 leaving his wife in the UK. Grappelli remained in the United Kingdom for the duration of the war. Reinhardt re-formed the quintet, with Hubert Rostaing on clarinet replacing Grappelli. While he tried to continue with his music, war with the Nazis presented Reinhardt with two potentially catastrophic obstacles. First, he was a Romani. Second, he was a jazz musician. As a gypsy jazz musician, Reinhardt was doubly vulnerable when the Germans occupied France. His first attempt at escape from Occupied France led to capture. Fortunately for him, a jazz-loving German, Luftwaffe Officer Dietrich Schulz-Köhn, released him back to France. Reinhardt made a second attempt a few days later, but he was stopped in the middle of the night by Swiss border guards who forced him to return to Paris. In this ["Nuages"] graceful and eloquent melody, Django evoked the woes of the war that weighed on people's souls—and then transcended it all. Since the Nazis officially disapproved of jazz, Reinhardt tried to develop other musical directions. He wrote a Mass for the Gypsies and a symphony. Since he did not read music, Reinhardt worked with an assistant to notate what he was improvising. His modernist piece Rhythm Futur was also intended to be acceptable to the Nazis. In 1943, Reinhardt married Sophie "Naguine" Ziegler in Salbris. They had a son, Babik Reinhardt, who later became a respected guitarist in his own right. 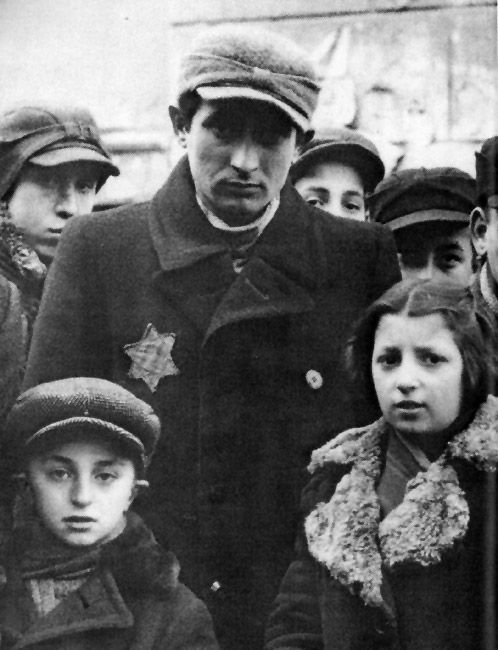 Unlike the estimated 600,000 Gypsies who were interned and killed in the Porajmos, Reinhardt survived the war without injury. After the war, Reinhardt rejoined Grappelli in the UK. 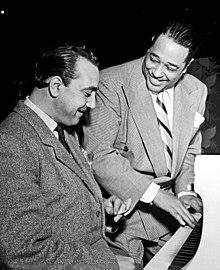 In the autumn of 1946, he made his first tour in the United States, debuting at Cleveland Music Hall as a special guest soloist with Duke Ellington and His Orchestra. He played with many notable musicians and composers, such as Maury Deutsch. At the end of the tour, Reinhardt played two nights at Carnegie Hall in New York City; he received a great ovation and took six curtain calls on the first night. After his return, Reinhardt re-immersed himself in Romani life, finding it difficult to adjust to the postwar world. He sometimes showed up for scheduled concerts without a guitar or amplifier, or wandered off to the park or beach. On a few occasions he refused to get out of bed. Reinhardt developed a reputation among his band, fans, and managers as extremely unreliable. He skipped sold-out concerts to "walk to the beach" or "smell the dew. ":145 During this period he continued to attend the R-26 artistic salon in Montmartre, improvising with his devoted collaborator, Stéphane Grappelli. In Rome in 1949, Reinhardt recruited three Italian jazz players (on bass, piano, and snare drum) and recorded over 60 tunes in an Italian studio. He united with Grappelli, and used his acoustic Selmer-Maccaferri. The recording was issued for the first time in the late 1950s. In 1951, Reinhardt retired to Samois-sur-Seine, near Fontainebleau, where he lived until his death. He continued to play in Paris jazz clubs and began playing electric guitar. (He often used a Selmer fitted with an electric pickup, despite his initial hesitation about the instrument.) In his final recordings, made with his Nouvelle Quintette in the last few months of his life, he had begun moving in a new musical direction, in which he assimilated the vocabulary of bebop and fused it with his own melodic style. On 16 May 1953, while walking from the Gare de Fontainebleau–Avon Station after playing in a Paris club, he collapsed outside his house from a brain hemorrhage. :160 It was a Saturday, and it took a full day for a doctor to arrive. :161 Reinhardt was declared dead on arrival at the hospital in Fontainebleau, at the age of 43. Reinhardt's second son, Babik, became a guitarist in the contemporary jazz style. His first son, Lousson, was more of a traditionalist. He followed the Romani lifestyle and rarely performed in public. After Reinhardt died, his brother Joseph at first swore to abandon music, but he was persuaded to perform and record again. Joseph's son Markus Reinhardt is a violinist in the Romani style. A third generation of direct descendants has developed as musicians: David Reinhardt, Reinhardt's grandson (by his son Babik), leads his own trio. Dallas Baumgartner, a great-grandson by Lousson, is a guitarist who travels with the Romani and keeps a low public profile. A slightly younger distant relative, violinist Schnuckenack Reinhardt, became famous in Germany as a performer of gypsy music and gypsy jazz up to his death in 2006, and also assisted in keeping Reinhardt's legacy alive through the period following his death. Reinhardt is regarded as one of the greatest guitar players of all time, and the first important European jazz musician to make a major contribution with jazz guitar. [a] During his career he wrote nearly 100 songs, according to jazz guitarist Frank Vignola. Using a Selmer Guitar in the mid-1930s, his style took on new volume and expressiveness. Despite his physical handicap, he played mainly using his index and middle fingers, and invented a distinctive style of jazz guitar. The Allman Brothers Band song "Jessica" was written by Dickey Betts in tribute to Reinhardt. Woody Allen's 1999 film Sweet and Lowdown, the story of a Django Reinhardt-like character, mentions Reinhardt and includes actual recordings in the film. "Django was the definitive genius on the guitar, and the depth of his gift was so spectacular," says Allen. Jazz guitarists in the U.S., such as Charlie Byrd and Wes Montgomery, were influenced by his style. In fact, Byrd, who lived from 1925 to 1999, said that Reinhardt was his primary influence. Guitarist Mike Peters notes that "the word 'genius' is bantered about too much. But in jazz, Louis Armstrong was a genius, Duke Ellington was another one, and Reinhardt was also." Grisman adds, "As far as I'm concerned, no one since has come anywhere close to Django Reinhardt as an improviser or technician." 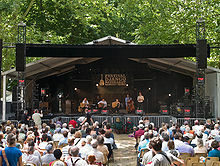 The popularity of gypsy jazz has generated an increasing number of festivals, such as the Festival Django Reinhardt held every last weekend of June since 1983 in Samois-sur-Seine (France), the various DjangoFests held throughout Europe and the US, and Django in June, an annual camp for Gypsy jazz musicians and aficionados. In February 2017, the Berlin International Film Festival held the world premiere of Django, a French film directed by Etienne Comar. The movie covers Django's escape from Nazi-occupied Paris in 1943 and the fact that even under "constant danger, flight and the atrocities committed against his family", he continued composing and performing. Reinhardt's music was re-recorded for the film by the Dutch jazz band Rosenberg Trio with lead guitarist Stochelo Rosenberg. The documentary film, Djangomania! was released in 2005. The hour-long film was directed and written by Jamie Kastner, who traveled throughout the world to show the influence of Django's music in various countries. In 1984 the Kool Jazz Festival, held in Carnegie Hall and Avery Fisher Hall, was dedicated entirely to Reinhardt. Performers included Grappelli, Benny Carter, and Mike Peters with his group of seven musicians. The festival was organized by George Wein. Reinhardt is celebrated annually in the village of Liberchies, his birthplace. Numerous musicians have written and recorded tributes to Reinhardt. The instant I heard Django, I flipped. I chose his style because it spoke to me. He was too far ahead of his time. He was something else. Many guitar players and other musicians have expressed admiration for Reinhardt or have cited him as a major influence. Jeff Beck described Reinhardt as "by far the most astonishing guitar player ever" and "quite superhuman". His technique is awesome! Even today, nobody has really come to the state that he was playing at. As good as players are, they haven't gotten to where he is. There's a lot of guys that play fast and a lot of guys that play clean, and the guitar has come a long way as far as speed and clarity go, but nobody plays with the whole fullness of expression that Django has. I mean, the combination of incredible speed – all the speed you could possibly want – but also the thing of every note have a specific personality. You don't hear it. I really haven't heard it anywhere but with Django. Denny Laine and Jimmy McCulloch, members of Paul McCartney's band Wings, have mentioned him as an inspiration. Django is still one of my main influences, I think, for lyricism. He can make me cry when I hear him. Andrew Latimer, of the band Camel, has stated that he was influenced by Reinhardt. Willie Nelson has been a lifelong Reinhardt fan, stating in his memoir, "This was a man who changed my musical life by giving me a whole new perspective on the guitar and, on an even more profound level, on my relationship with sound...During my formative years, as I listened to Django's records, especially songs like 'Nuages' that I would play for the rest of my life, I studied his technique. Even more, I studied his gentleness. I love the human sound he gave his acoustic guitar." Reinhardt's style of playing is discussed by characters in the novel From Here to Eternity. His legacy is referred to in Woody Allen's 1999 Sweet and Lowdown. This spoof biopic features a fictional American guitarist, Emmet Ray, who is obsessed with Reinhardt, with a soundtrack featuring Howard Alden. Reinhardt is portrayed by the guitarist John Jorgenson in the movie Head in the Clouds. In the movie Swing Kids, the character Arvid has his hand damaged by a member of the Hitler Jugend but is inspired by Reinhardt's example to keep playing. Reinhardt's music has been used in the soundtrack of many films, including in The Matrix, Rhythm Futur, Daltry Calhoun, Metroland, Chocolat, The Aviator, Alex and the Gypsy, Kate and Leopold and Gattaca; the score for Louis Malle's 1974 movie, Lacombe Lucien; the background for the Steve Martin movie L.A. Story; and the background for a number of Woody Allen movies, including Stardust Memories. Reinhardt's music has been featured in the soundtracks of several video games, such as the 2002 game Mafia: The City of Lost Heaven, and its 2010 sequel Mafia II. It was also featured in the 2007, 2010 and 2013 games BioShock, BioShock 2 and BioShock Infinite as well as 2015's "Fallout 4". Reinhardt's music is used in the 1978 film King of the Gypsies. His long-time friend Stéphane Grappelli appeared in the film in a cameo, performing as a violinist in a gypsy band. In the Martin Scorsese film Hugo (2011), a character named Reinhardt—played by Emil Lager—plays guitar in a combo in the station café. "Django" (1954) is a jazz standard written by the jazz pianist John Lewis, of the Modern Jazz Quartet, in honour of Reinhardt. Saxophonist James Carter released Chasin' the Gypsy (Atlantic, 2000) in tribute to Reinhardt. Tango for Django, a track on Robbie Robertson's 2011 album How to Become Clairvoyant, is a tribute. Reinhardt inspired Harlan Ellison's short story Django, published in the collections Shatterday and Dreams with Sharp Teeth. On 23 January 2010, the French and Belgian Google home pages displayed a logo commemorating the centenary of Reinhardt's birth. The Django web framework is named after Reinhardt, as is version 3.1 of the blog software WordPress. The Belgian government issued a commemorative coin in 92.5% sterling silver in 2010 coinciding with the 100th anniversary of his birth. It is a silver 10-Euro coin with a color image of Reinhardt on the reverse side. Reinhardt is mentioned in the opening line of The Statler Brothers' song "Chet Atkins' Hand". The opening line is "Thank you Les Paul, thank you Django, thank you Merle". Reinhardt appears as a character in the fiction novel The Magic Strings of Frankie Presto (2015) by American author Mitch Albom. The film Django, by the French filmmaker Étienne Comar, depicting Reinhardt's life during wartime was released in 2017, with the French actor Reda Kateb performing the role of Reinhardt. It opened the 67th Berlin International Film Festival. Reinhardt recorded over 900 sides in his recording career, from 1928 to 1953, the majority as sides of the then-prevalent 78-RPM records, with the remainder as acetates, transcription discs, private and off-air recordings (of radio broadcasts), and part of a film soundtrack. Only one session (eight tracks) from March 1953 was ever recorded specifically for album release by Norman Granz in the then-new LP format, but Reinhardt died before the album could be released. In his earliest recordings Reinhardt played banjo (or, more accurately, banjo-guitar) accompanying accordionists and singers on dances and popular tunes of the day, with no jazz content, whereas in the last recordings before his death he played amplified guitar in the bebop idiom with a pool of younger, more modern French musicians. A full chronological listing of his lifetime recorded output is available from the source cited here, and an index of individual tunes is available from the source cited here. A few fragments of film performance (without original sound) also survive, as does one complete performance with sound, of the tune "J'Attendrai" performed with the Quintet in 1938 for the short film Le Jazz Hot. Reinhardt's recorded output has been re-released on a large number of LPs, cassettes and CDs since his death and also the start of the LP era. Of particular mention is Intégrale Django Reinhardt, volumes 1–20 (40 CDs), released by the French company Frémeaux from 2002 to 2005, which strove to include every known track on which he played. The following list of reissues is only a selection; as at December 2015, www.discogs.com listed more than 560 such albums; a full listing is available from the source cited here. A small number of waltzes composed by Reinhardt in his youth were never recorded by the composer, but were retained in the repertoire of his associates and several are still played today. They came to light via recordings by Matelo Ferret in 1960 (the waltzes "Montagne Sainte-Genevieve", "Gagoug", "Chez Jacquet" and "Choti"; Disques Vogue (F)EPL7740) and 1961 ("Djalamichto" and "En Verdine"; Disques Vogue (F)EPL7829). The first four are now available on Matelo's CD Tziganskaïa and Other Rare Recordings, released by Hot Club Records (subsequently reissued as Tziganskaïa: The Django Reinhardt Waltzes); "Chez Jacquet" was also recorded by Baro Ferret in 1966. 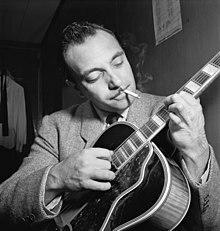 ^ Professor of music and guitarist, Mark White, of Berklee College, writes: "Django Reinhardt with his Hot Club of France group was a hotbed of great guitar playing. Eventually, Django would play electric guitar, and become one of the greatest guitar stylists of all time." ^ Jimmy Page said "Django Reinhardt was fantastic. he must have been playing all the time to be that good." ^ a b "Django Reinhardt Jattendrai Swing 1939 live". 23 November 2015. Retrieved 30 May 2017 – via YouTube. ^ a b c d e f g h i j k l Dregni, Michael (2004). Django: The Life and Music of a Gypsy Legend. Oxford University Press. ISBN 0-19-516752-X. ^ a b Baronian, Jean-Baptiste (8 October 2015). Dictionnaire amoureux de la Belgique. edi8. p. 376. ISBN 978-2-259-24868-6. Retrieved 30 May 2015. ^ Jurek, Thom. "The Hot Jazz: Le Hot Club de France, Vols. 1–4". AllMusic. Retrieved 30 November 2011. ^ "Django Reinhardt – Minor Swing – HD *1080p". 28 March 2013. Retrieved 30 May 2017 – via YouTube. ^ a b Balen, Noël (2003). Django Reinhart: Le Génie vagabond. ISBN 978-2268045610. ^ a b "Django Reinhardt and the Illustrated History of Gypsy Jazz". All About Jazz. Retrieved 3 February 2013. 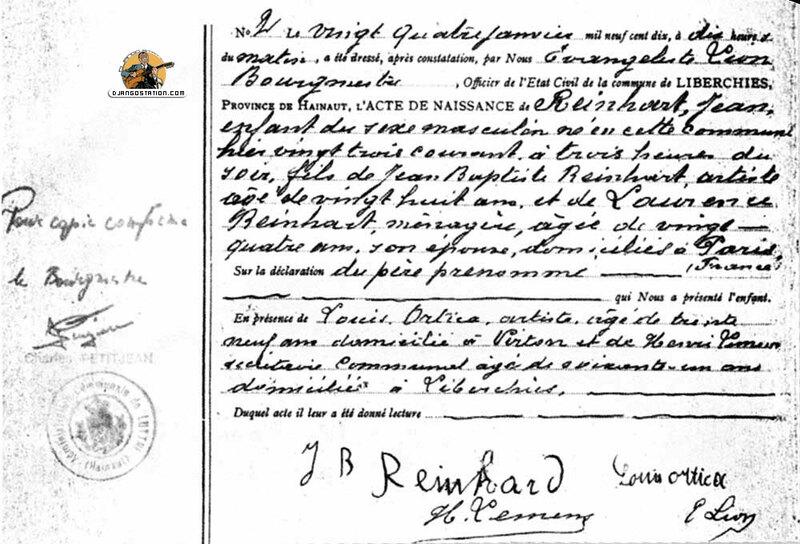 ^ "Official birth certificate of Jean Reinhardt". Django Station. Retrieved 3 February 2013. ^ a b c d e f g h i j k l m n o p Delaunay, Charles (1961). Django Reinhardt. Da Capo Press. ISBN 0-306-80171-X. ^ "Gypsy Jazz and Django Reinhardt". Flatpick.com. 2 November 1928. Retrieved 30 May 2017. ^ Marty, Pierre (2005). Django ressuscité: contribution à l'étude d'une auto-rééducation fonctionnelle en 1925. Copédit. ISBN 2906030910. ^ "Lousson Reinhardt". Gypsy Jazz Encyclopedia. Retrieved 7 April 2010. ^ a b c d e Dregni, Michael (2006). Django Reinhardt and the Illustrated History of Gypsy Jazz. Speck Press. ISBN 978-1-933108-10-0. ^ Rousseau, François. "Welcome". Django Montreal. Retrieved 30 November 2011. ^ "DECCA (USA) 78rpm numerical listing discographyL 23000 – 23500". 78discography.com. 26 September 2015. Retrieved 30 May 2017. ^ Tranchant, Jean (1969). La Grande Roue. Paris: Éditions de la Table Ronde. ^ a b Sharp, Fred. "Babik Reinhardt". The Django Reinhardt Swing Page. Retrieved 30 November 2011. ^ "Nazi poster illustrating the negative aspects of jazz" (JPG). 65.media.tumblr.com. Retrieved 30 May 2017. ^ Kington, Miles. "Playing a Dangerous Game: Django, Jazz and the Nazis". BBC. Retrieved 30 November 2011. ^ "Django Reinhardt – Nuages – Paris, 13.12.1940". 13 December 1940. Retrieved 30 May 2017 – via YouTube. ^ Fackler, Guido. "Jazz Under the Nazis". Music and the Holocaust. Retrieved 30 November 2011. ^ Meiksins, Robin. "Django Reinhardt at the Music Hall". Cleveland Historical. Retrieved 30 May 2017. ^ Tranchant, Jean: pg. 116, La Grande Roue; Éditions de la Table Ronde, Paris, 1969. ^ De Visscher, Éric. R. vingt-six. Django Reinhardt – Swing De Paris. Musée de la musique (Cité de la musique), Paris. 6 October 2012. ^ Chester, Paul Vernon. "Django in Rome: The 1949–50 Sessions". Manouche Maestro. Archived from the original on 26 May 2012. Retrieved 30 November 2011. ^ Givan, Benjamin (2010). The Music of Django Reinhardt. University of Michigan Press. pp. 158–94. ISBN 978-0-472-03408-6. ^ "Sweet and Lowdown scene". 16 December 2012. Retrieved 30 May 2017 – via YouTube. 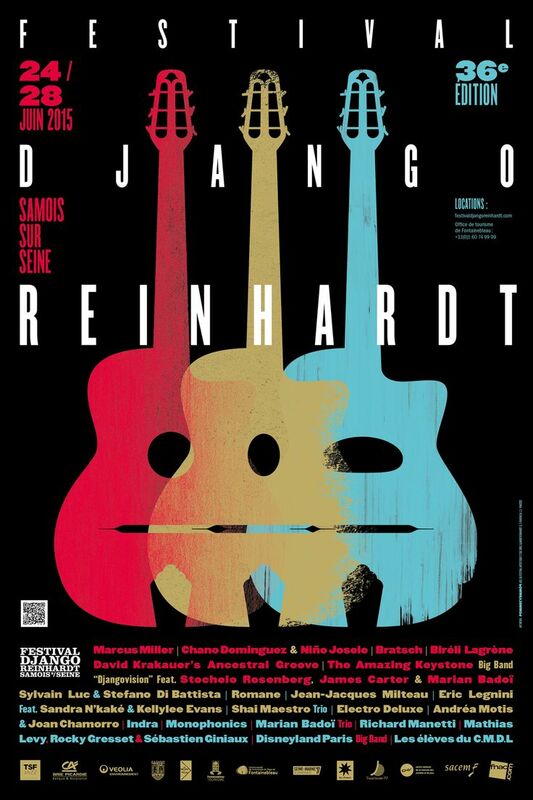 ^ "Django Reinhardt Festival poster" (JPG). S-media-cache-ak0.pinimg.com. Retrieved 30 May 2017. ^ "Poster of Django Reinhardt Fest in Athens" (JPG). Gypsyjazz.gr. Retrieved 30 May 2017. ^ "Django Reinhardt New York City Festival – Dark Eyes". 21 November 2010. Retrieved 30 May 2017 – via YouTube. 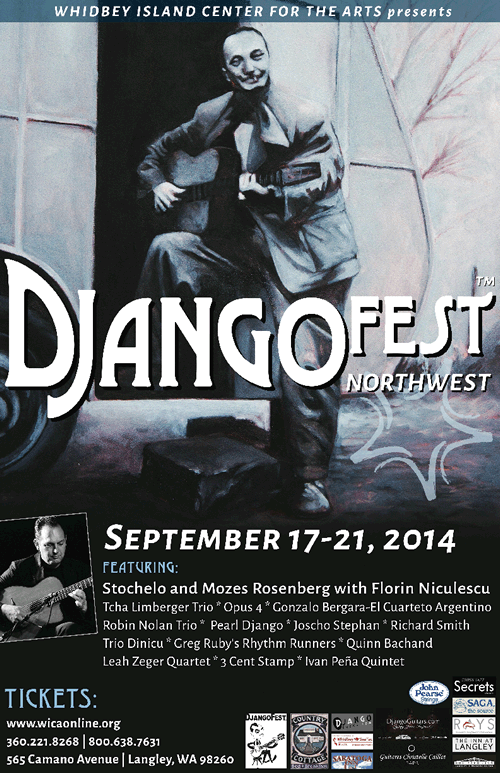 ^ "Poster of DjangoFest in Washington state". Djangofest.com. Archived from the original (PNG) on 16 August 2014. Retrieved 30 May 2017. ^ "Django Reinhardt documentary". 9 January 2016. Retrieved 30 May 2017 – via YouTube. ^ "Djangomania! (2005)". IMDb. Retrieved 30 May 2017. ^ "Accueil". Djangoliberchies.be. Retrieved 13 May 2013. ^ "Jeff Beck on Django". Djangobooks.com. Retrieved 13 May 2013. ^ Nelson, Willie; Ritz, David 2016, p. 45-47. ^ Davis, Francis (5 December 1999). "Faithful to the Love of His Life: Hot 30's Jazz". The New York Times. Retrieved 21 July 2012. ^ "Mafia II – Official Community". Mafia2game.com. 19 August 2010. Retrieved 13 May 2013. ^ "Version 3.1 " WordPress Codex". Codex.wordpress.org. 23 February 2011. Retrieved 13 May 2013. ^ "10 euro 100. birthday of Django Reinhardt – 2010 – Series: Silver 10 euro coins – Belgium – Collector Coin Database". Coin-database.com. Retrieved 13 May 2013. ^ "Mitch Albom's 'The Magic Strings of Frankie Presto' On World Cafe". World Cafe. WXPN. 27 November 2015. Retrieved 18 May 2017. ^ "Reda Kateb e Cécile de France in Django". Cineuropa.org. Retrieved 30 May 2017. ^ Hasegawa, Hikaru. "The Complete Django Reinhardt Discography 1928–1953". Retrieved 10 December 2015. ^ "Django's Full Discography". Djangopedia. Retrieved 10 December 2015. ^ "News: All Known Film Footage of Django Reinhardt Now Available on DVD at Last". All About Jazz. Retrieved 10 December 2015. ^ "Jazz 'Hot': The Rare 1938 Short Film with Jazz Legend Django Reinhardt". Open Culture. Archived from the original on 10 December 2015. Retrieved 10 December 2015. ^ "Django Reinhardt's Life on Record". Fretboard Journal. Archived from the original on 10 December 2015. Retrieved 10 December 2015. ^ "Django Reinhardt". discogs. Retrieved 10 December 2015.